With a rich legacy built on more than six decades of excellence in cultural exchange, YFU is delighted to have returned our headquarters to Washington, DC and to have celebrated this momentous occasion with a series of successful opening weekend events. We had a full house in our new Education and Training Center on October 11, 2014. The evening cocktail reception and dinner gala, championed by Ambassador (Ret.) Laurie S. Fulton, a member of YFU’s Board of Trustees, inaugurated a new scholarship and financial aid program to ensure that more US students can study abroad in the next decade. 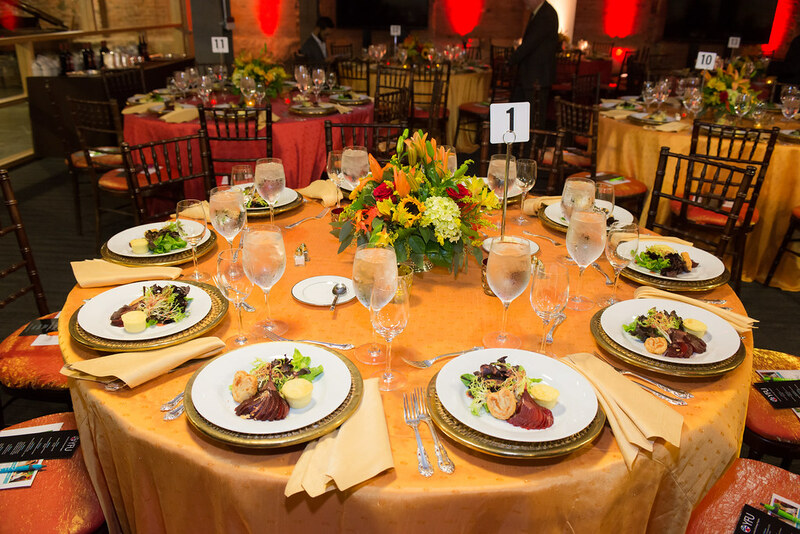 Proceeds from the event are being used to establish a YFU Financial Aid Fund, helping to provide need-based scholarships for YFU’s Study Abroad program so that all students have the opportunity of a transformative exchange experience. YFU extends its sincere gratitude to our distinguished speakers who candidly shared personal stories and articulated the importance of citizen diplomacy in today’s world. Donations toward the YFU Financial Aid Fund, may be made below. YFU welcomed a panel of notable YFU alumni to our new Education Center on October 10 for an interactive exploration of YFU's rich history and bright future as a leading force in intercultural understanding. 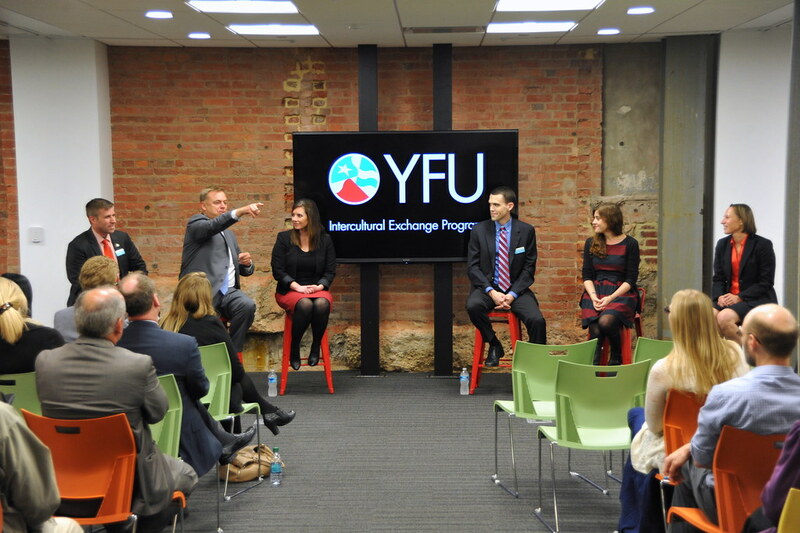 Our accomplished panelists shared their YFU experiences and engaged in a lively discussion, which was followed by an energetic open house event for guests to explore the new headquarters. If you are an alum and would like to reconnect, please contact alumni@yfu.org. Throughout the course of these events we were joined by YFU Trustees, staff, alumni, diplomats, volunteers and special friends all coming together to celebrate the legacy and vision of YFU. Thank you to everyone who joined us both in person and in spirit for the gala and our alumni panel, it wouldn’t have been the same without you!